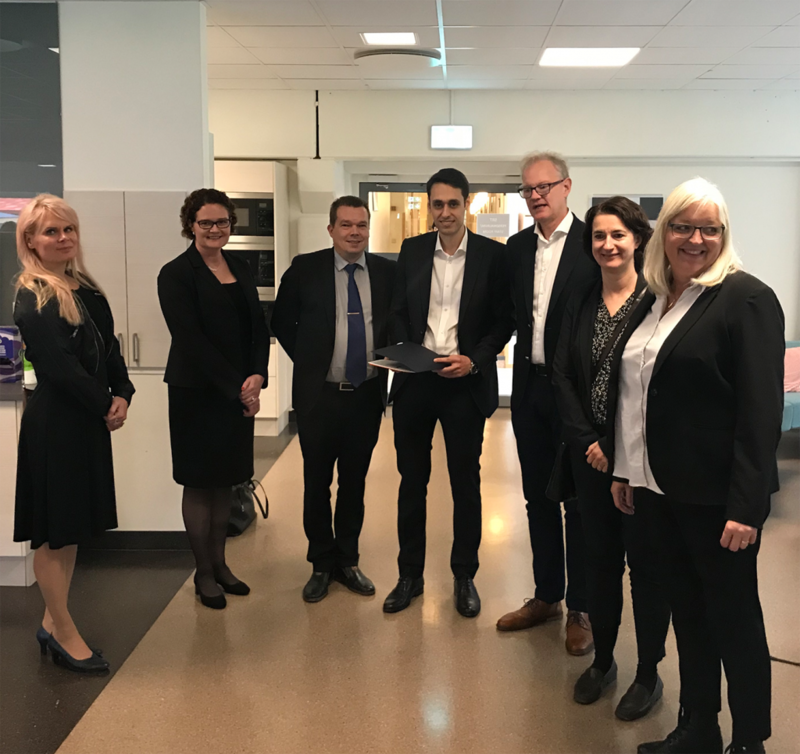 IT-system kan bidra till bättre arbetsmiljö i skolan. Men det gäller att hitta rätt lösningar och att ha tydliga mål för arbetsmiljön. 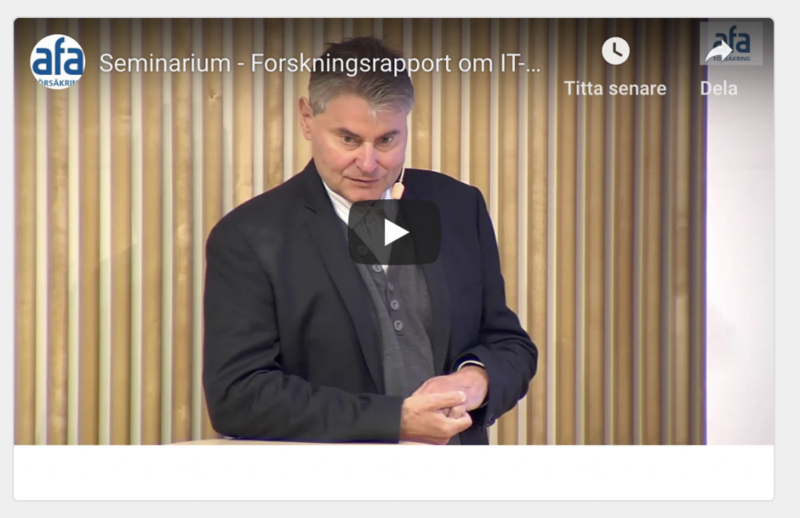 Det framkom vid ett seminarium på AFA Försäkring om hur den digitala tekniken påverkar arbetsmiljön där projektet IT-utveckling för hållbara arbetsplatser presenterades och av Michel Thomsen och Jörgen Johansson. Presentationen följdes av ett forskarsamtal och frågestund där även Maria Åkesson deltog. 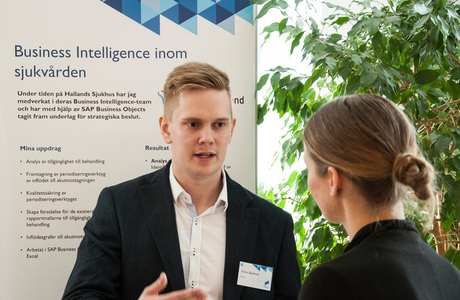 Pontus Wärneståls framing of Service Design and AI has been published by the e-publication Good Audience. His goal with the text is to position Service Design and current AI application and value-creation in a short and digestible way, and back it up in a way that makes sense from a business perspective. This content was also presented at Good Tech Conference in Sundsvall. Pontus Wärnestål’s talk on From Business to Buttons, on May 15 2018 in Stockholm. From Business to Buttons is the meeting place for everyone who wants hands-on advice on how to generate business value by creating great user experiences. Utbildningsradion/Kunskapskanalen featured several talks on digital design, where Pontus Business to Buttons talk was featured at 10:35. Watch the episode here. Students at the Enterprise Systems Program frequently get acquainted with different kinds of current ERP systems. 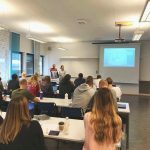 On september 13th, alumni Jessica Hesselgren och Victoria Hellquist at Little Fish visited our 2nd year students to introduce SAP Business One. 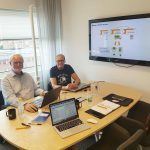 Program Director Christer Rehnström is seen in the second picture, introduced to the system by Gunnar Thomassen, Solution Adviser at SAP Danmark and Information Services Consultant. 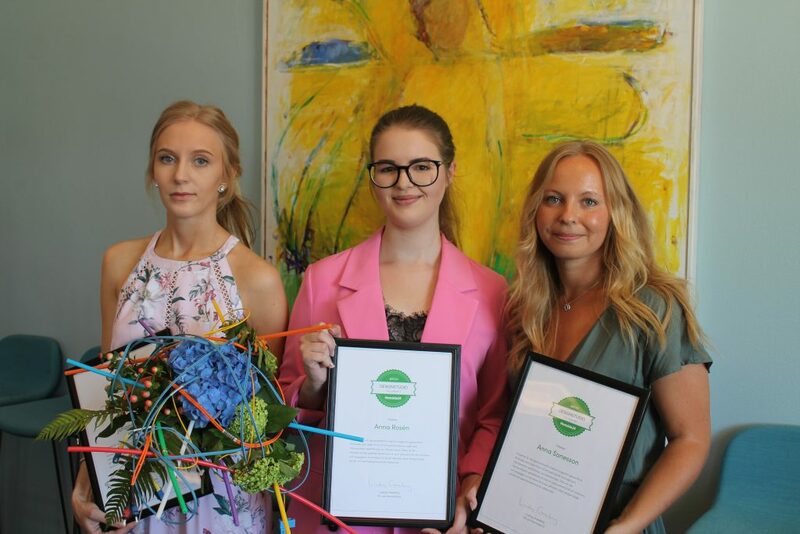 Third year students Anna Sonesson, Anna Rosén and Johanna Levall in the Digital Design and Innovation programme were awarded diploma for best project in the final design studio themed sustainability. The diploma is awarded by Hemsida 24. 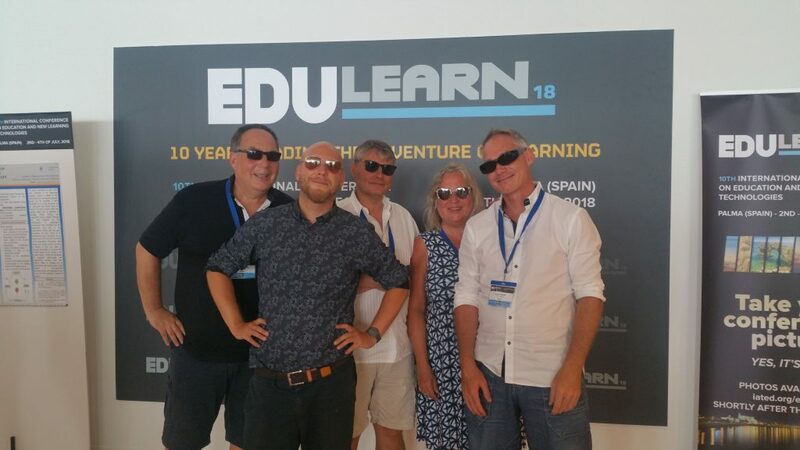 The motivation reads: The project is thoroughly carried out with a carefully completed preliminary study that leads to an exciting concept, incorporating gamification in the health context. Several of the incorporated game elements have an excellent potential to motivate and engage users into physical activity, supporting both social and socio-economic sustainability. 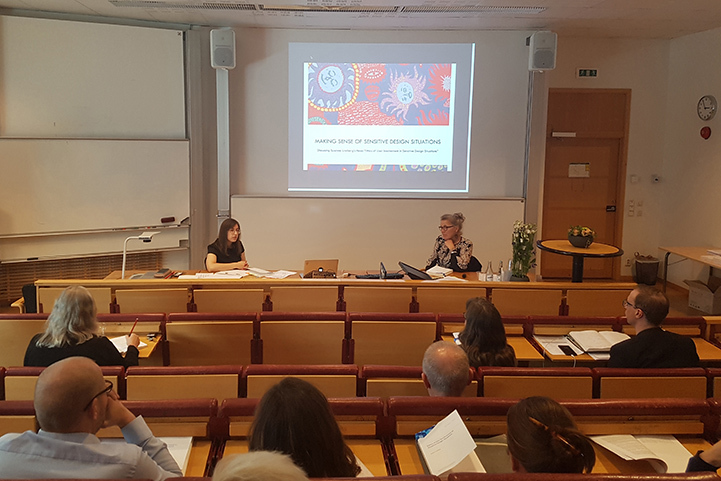 On April 10, Susanne Lindberg successfully defended her PhD thesis “Ethics of User Involvement in Sensitive Design Situations”. 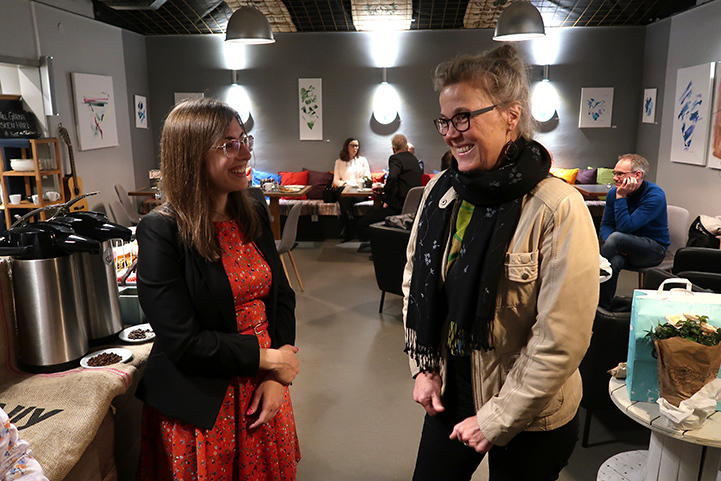 Opponent was Maja van der Velden, associate Professor at University of Oslo. Big congratulations Susanne from all of us! The PhD defense of Susanne Lindberg will be held on April 10th, 13:00-15.30 in Wigforss. Summary: While this era of digital technology brings great possibilities for improving the lives of many people with digital healthcare services, the design of these services in turn present challenges that are ethical in nature. Participatory Design (PD) values user involvement in design from a democratic, empowerment and ethical perspective. However, the design of digital healthcare services constitutes sensitive design situations, that is, situations that have the potential to negatively impact the participants. As a consequence, participation in these design situations involves risks, causing ethical dilemmas. The ethical dilemmas that designers face in sensitive design situations are situated, dynamic, diverse, unpredictable, and occur in-action. 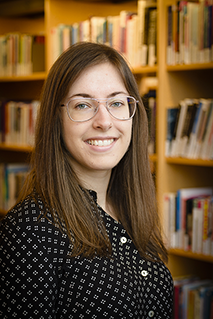 Yet, it is a complex field with little in situ support for designers who intend to involve users in sensitive design situations, and high complexity and risk increase the need to understand ethics in these situations. Consequently, this thesis intends to answer the question: How can users be involved in sensitive design situations? 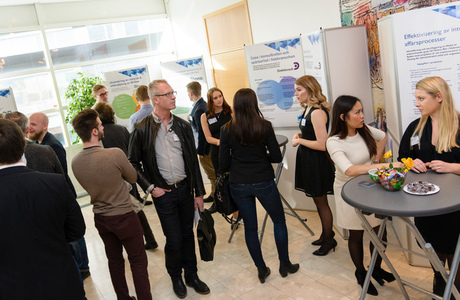 It is once again time for Arena Affärssystem, a yearly event where students present project work that has been conducted in collaboration with industry. Projects encompass various challenges within business development and working with ERP systems. The event takes place on tuesday 20th of March.